Once again Emma Lee finds herself trying to help a recently departed spirit solve their murder in order to cross over. Emma Lee Raines – Undertaker and communicator with the dead. 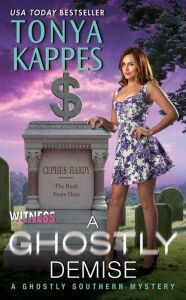 This is the fourth and unless things change, final entry in Ms. Kappes Ghostly Southern Mysteries, and like all the rest was a blast to read. As a reader of the whole series, I’ve been able to watch the characters grow. The Emma in this book has much higher self esteem and is more comfortable in her role. Each of these books, while connected, can also be read as standalones. However, each book will kind of spoil the one prior by mentioning some of the events that occurred, so if you get the chance to read them in order, I’d do so. I’d rate this for all ages, as there doesn’t seem to be much objectionable outside of the murder, and the violence from those attempting to stop Emma’s investigations. However, none of the violence is graphic, and is more along the lines of what you’d find in a Hardy Boys or Nancy Drew story. If you like cozy mysteries with a sense of humor, grab this series. Be sure to drop back in and let us know what you thought. 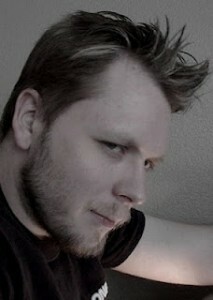 Cephus Hardy – Recently departed. 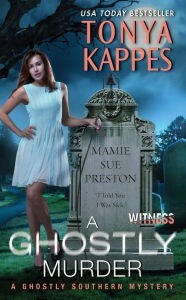 This is the third entry in Ms. Kappes Ghostly Southern Mysteries, and like all the rest was a ton of fun. Emma Raines, and the cast of characters are just enjoyable, and the humor just adds to the storyline. As a reader, I really get the feel of this small town, and really like all the oddball characters. Like all the rest, there are various subplots involving Emma’s grandmother, her run for mayor, and someone trying to sabotage her campaign. The grandmother out of all the characters, is one of the most fun. None of the characters are really cookie cutter, but each has their own distinct appearance and likeability factor. If you are into cozy mysteries with a sense of humor, you’d love this series. I can’t think of anything objectionable in it. So check it out and be sure to let us know what you thought. Billy Bagboy – A Wobbit. 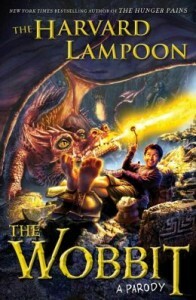 A Wobbit is called into a special YOLO to stop Puff the Magic Dragon in this parody of The Hobbit. I had very mixed feeling about this. While some of the jokes I did find myself chuckling over, a lot of the humor seemed very dated. For instance, there was a Kirstie Alley fat joke, Richard Nixon was a character, and other things along those lines. Some of the most up to date cultural references involve more modern movies and stories. There was a lot of Harry Potter jokes, and at times some of the jokes were recycled to the point where they didn’t seem to continue to be humorous. Perhaps in my old age, I’m losing my sense of humor, but to me it just didn’t strike the right chords on the humor scale. For that I’d recommend it for strong fans of the Tolkien Series, or of movie parodies. This is from the same authors as Nightlight, but for me I expected more. Maybe my expectations were too high, or I was in the wrong mood. Regardless, this isn’t quite one I’d recommend for everyone, but I’m sure there are some who’d love it. Florence “Flo” Sonderlund – Bear’s girlfriend/Tech helper. The maker of one of Pinky’s favorite wines is found floating in a vat of Cabernet. 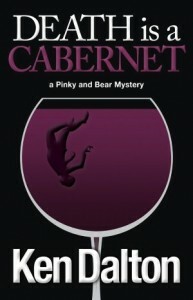 Pinky and Bear are off to wine country to find out who killed him, and what secrets were being hidden in the winery. 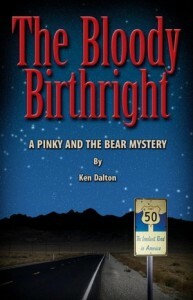 This is the third entry in the Pink and the Bear mystery series. This one like the previous entries is filled with humor and action. This time around we also see the addition of a precocious young girl who Bear and Flo meet when they rent a cabin near a lake. I’ve read all three of these novels so far for a book tour for Mr. Dalton, and each one has been an enjoyable and fun experience. This one is no different. Overall, I’d say Bear and Flo have quickly become my favorites, while Pinky just seems to be there to control the storyline. If you are into mysteries, particular comic mysteries such as the Stephanie Plum series, then you should definitely check this one out. I’d rate it for older teens adults to the language and situations. It does come recommended though, so if you read it, be sure to drop back by and let us know what you thought. 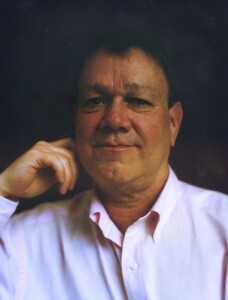 Ken Dalton was born in 1938 at Hollywood Hospital. He grew up with his parents, his older sister, Pat, and younger brother, Richard in Los Angeles. The year 1938 informs the quick reader that Ken’s older than a lot of people, but younger than some. In a turn of bad luck, the dreaded Polio virus found Ken. At the end of World War ll, Ken’s family moved to Cheyenne, Wyoming for a year where he learned how to live through snow blizzards, avoid walking through the large pile of coal in the basement, and how to survive life as an Army Officer’s brat on a base called Fort Warren. 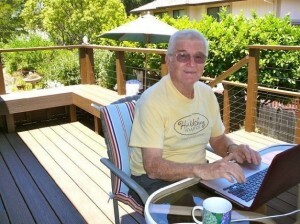 In 1966, Ken, who worked as a technician for Pacific Bell, and his family left Southern California for the green hills of Sonoma County where they bought a home in Sebastopol surrounded with apple trees. A few years later, Ken and Arlene built a new home on three and a half acres. They raised cows, pigs, and learned how to build outstanding fences. While their children grew, they hosted two exchange students, Eva Reimers from Sweden, and Tanja Wuttke from Germany, both of whom are still loved members of the Dalton clan. Also during those years, Ken was promoted to management at Pacific Bell. He eventually ended up responsible for all the central offices, sixty-three, in an area that covered five counties. 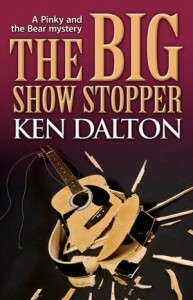 Then, ten years ago, Ken started to write. His first article was published in Golf Illustrated in August 1996. More golf articles followed in national and regional magazines including Golf Magazine and Fairways and Greens. After their last adventure, Bear decides to treat Flo to a night on the town, followed by a concert by the nation’s top artist Brady Blackstone. But unknown to them, tonight will be his last performance. They will be witnesses to the murder that kicks off their next adventure. Once again a mystery strong on characters and humor, while having a somewhat simple plot. Brady Blackstone is dead. But it’s up to Pinky, Bear, and Flo to figure out who killed him and why? Bear and Flo are sent to follow the band around on it’s tour and question suspects. Meanwhile, Pinky, as he tends to do it seems, takes the hard part of the job by going to wine festivals and foreign locals. There’s plenty of the financial swindlings from bear, the introduction of a new character to perhaps permanently or temporarily replace an old one, and then there’s Flo, who I think tends to be one of the most entertaining parts of this series. If you like lighthearted mysteries along the line of Stephanie Plum, then I think you should grab any one of the books in Pinky and the Bear series. This is the second book in the series, the last one having been reviewed last week. Next Thursday we’ll be bringing you book through, followed the following Tuesday by the last and newest in the series so far. So mystery fans, run out there and grab a copy and let us know what you thought. Do to language, content, etc. I would give this one a rating of PG-13. That Bear can have quite the mouth on him sometimes, which some may find offensive. One brother is murdered, a second is killed in an accident? The son of the murdered man is arrested and the evidence looks bad. That is when Pinky Delmont arrives on the scene, determined to prove the man’s innocence, but most of all, collect a large payment for his services. I loved these characters. Like the similar Stephanie Plum series, the characters are light hearted. The stories are serious, but the author manages to throw some light humor into the interractions of the various characters. You can visualize one character irritating another, or feeling impressed by their knowledge. The plot is strong enough to keep you interested, without being so complicated that you find yourself lost. The mystery was fun, but Bear, Flo and Pinky were the highlights. I found myself at the end looking for their next adventure. In an unusual pattern for us, we will be reviewing all four of the books in this series over the next two weeks. So stop back by on Tuesday to see our review of the next book. I’d definitely grab this if you like light mysteries. I’d rate it PG-13 for language and content. Morgan Somerville – A motivational instructor. Risa Wentworth – Owns 1/2 of House with Morgan. Morgan Somerville is living a carefree life in a ramshackle house in Aspen. Then he meets Risa Wentworth. From there his life continues to go downhill. Her dog is killed. Morgan is blamed, and sued for a million dollars. The lawyers are also requesting that he be forced to leave town. His laywer says he can’t win and his only hope is to pay the million, find out Risa’s dirty secret, or get her to fall in love with him. He opts for the latter, while at the same time preparing himself to enter and win a golf tournament known as the Aspen 2 Million Winner-take-all. This was a fun story. It was a lighthearted story along the lines of what one would see in a romantic comedy. The characters and their interactions were often entertaining, and as a reader I cared about Morgan and wanted to find out how his life ended up. If there were one drawback, it was the author’s writing style. He had a habit in the narrative of describing each character as looking like a specific celebrity. If it had just been Risa for example, thinking Morgan looked like Matthew McConaghey, there wouldn’t have been an issue. However it was with the introduction of every single character, and as a reader it really tended to pull me out of the world that Mr. Morris had created. While there is that one drawback, I still found the situations and events to be humorous and the book did keep me entertained which is about all you can ask of any author. I think the author did leave things at the end open ended, and were he to do a sequel story, I’d definitely give it another shot. 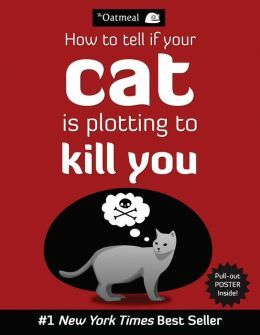 I can recommend it for those who might like a light summer day’s reading. There was some language/situations that might not be appropriate for young readers. For the most part though, I think you might enjoy it, if you can get by the one flaw I mentioned. 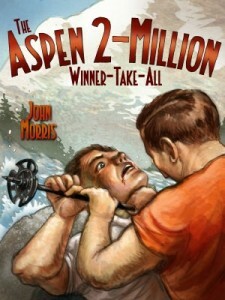 John Morris lives in Aspen, Colorado, with his loving wife and two wonderful children. Having worked many of the same cowboy / construction / bartender / ski-patrol jobs as his fictional counterpart Morgan, he can vouch for how easy it is for a good-looking guy to get in trouble there. 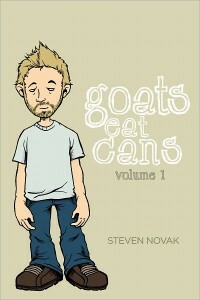 Steven Novak has written what amounts to a comic memoir of his life. Through a series of essays he takes us through the various stages, from pre-adolescence on through. As a reader we get to experience many of his adventures, or I should say mis-adventures, dealing with everything a person normally experiences throughout their life. One of the most memorable scenes I can recall from the book was his first attempt at losing his virginity and how he ended up in a cast as the result. For an entertaining read I’d recommend it. It is strictly for adults though. There is a lot of of strong language, some potty humor, and adult situations. For that I’d say older teens and adults would be the primary audience. 6) Contest will continue until June 2, 2010.